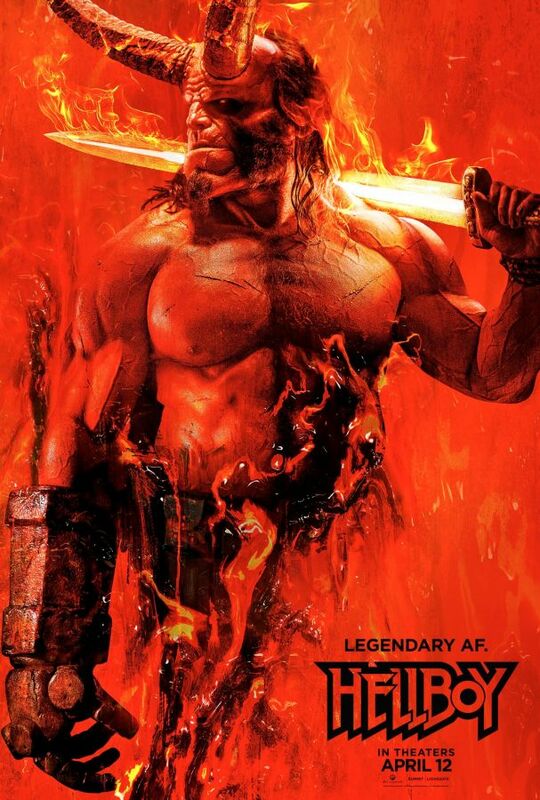 In Hellboy (2019), Hellboy is back, and he’s on fire. 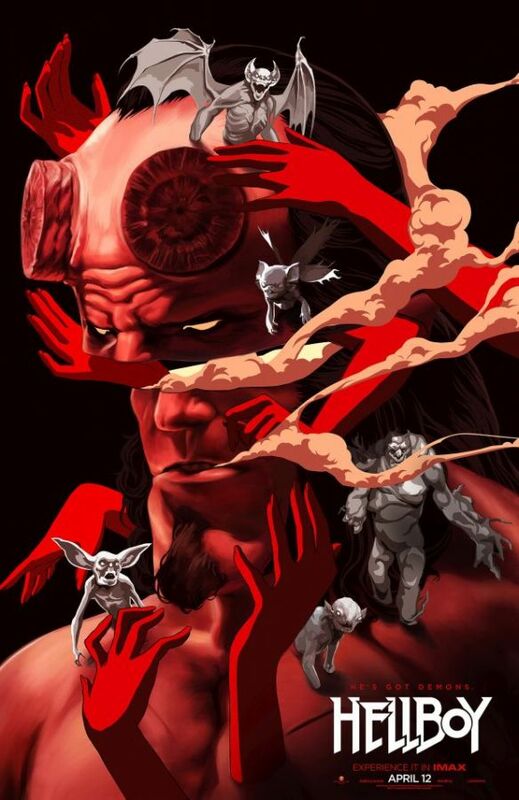 From the pages of Mike Mignola’s seminal work, this action packed story sees the legendary half-demon superhero (David Harbour, “Stranger Things”) called to the English countryside to battle a trio of rampaging giants. 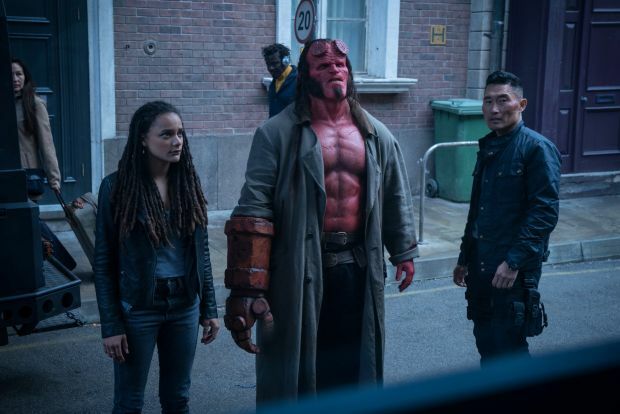 Hellboy also features Ian McShane (John Wick), Daniel Dae Kim (“Hawaii Five-0″ and “Lost”), and Sasha Lane (American Honey). 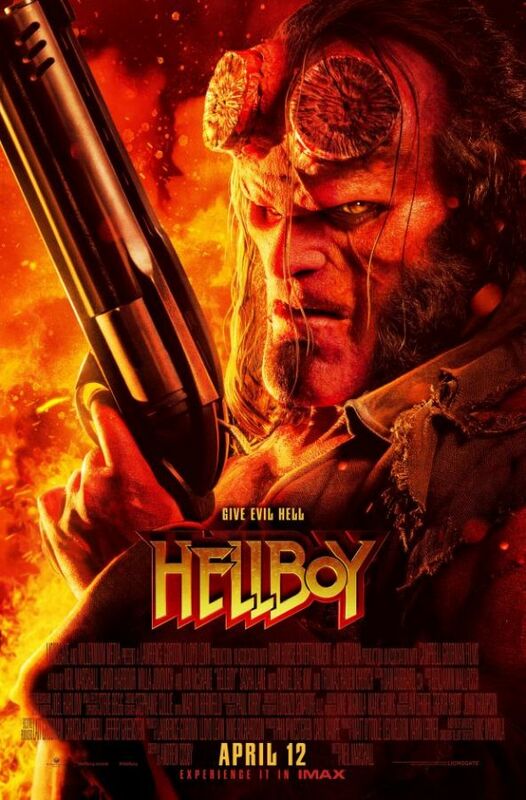 Hellboy (2019) is directed by Neil Marshall. 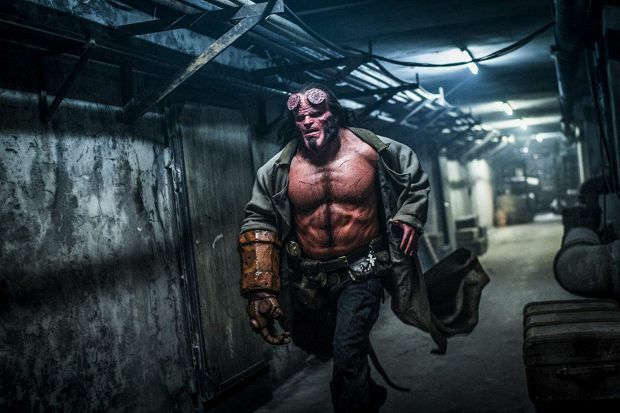 The first Hellboy movie was released in theaters in 2004 and was directed by Guillermo Del Toro. That film earned $59,623,958 at the U.S. box office. 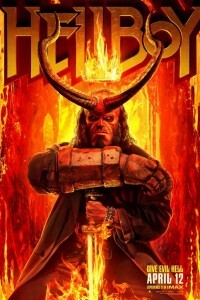 The second Hellboy, also directed by del Toro, Hellboy: The Golden Army, arrived in theaters in 2008 and took in nearly $76 million in North American theaters.